I'm gonna start out by being honest today (As opposed to the days when I start out with a lie? Whatever. You know what I mean.) 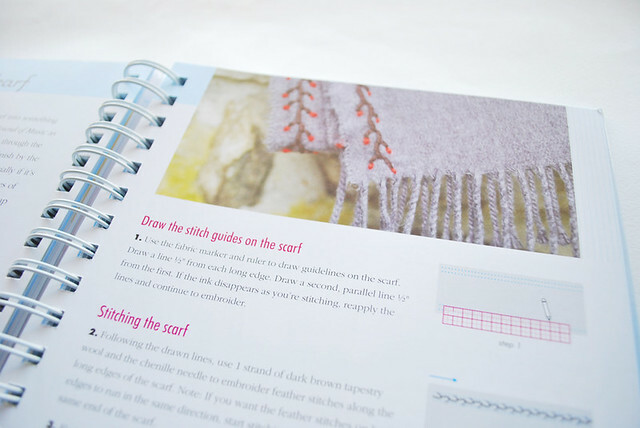 When Workman Publishing contacted me about reviewing their new book Embroider Everything Workshop, I took a look at the cover, and was unsure. Yes, I do judge books by their cover. I'm not exactly sure what it was about this, but I just didn't know if I would like it. 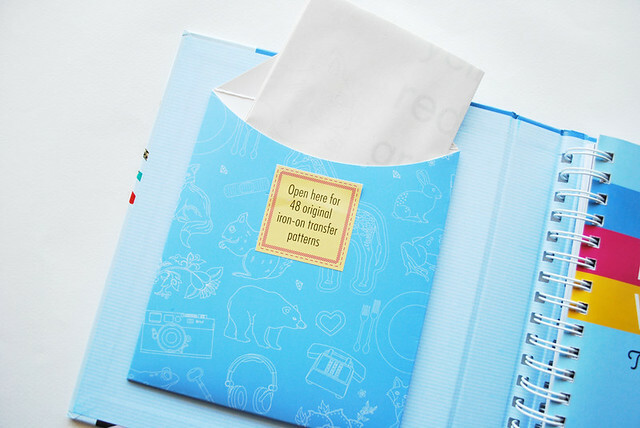 Inside the cover is a pack of iron-on transfers so you can stitch all the designs shown in the book. They vary in style, and all are wonderful. 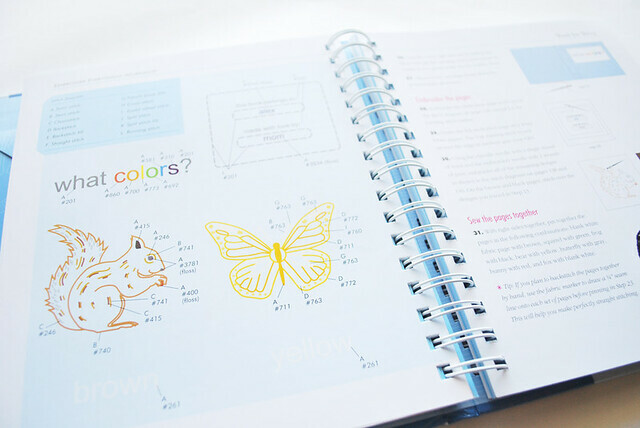 This book is comprehensive and teaches multiple styles of embroidery, but manages to do so without feeling overwhelming. 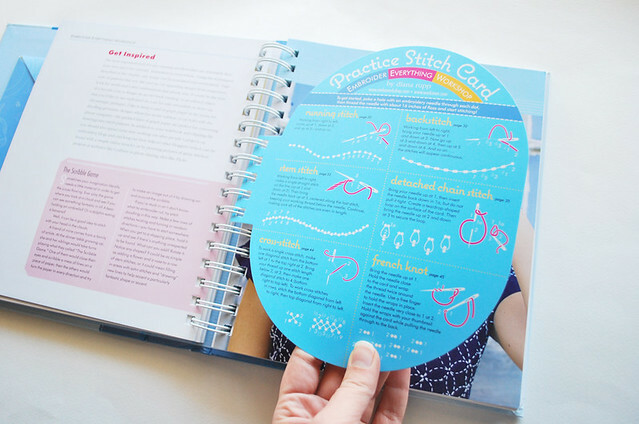 I love this stitch practice card, which would be great for beginners. You follow the steps and stitch through it in the prescribed spots. Easy! But even as someone who has been stitching for years, I found so many things that I had never learned. Already I've tried one of the methods that author Diana Rupp suggests for starting a new thread, and it was so helpful! 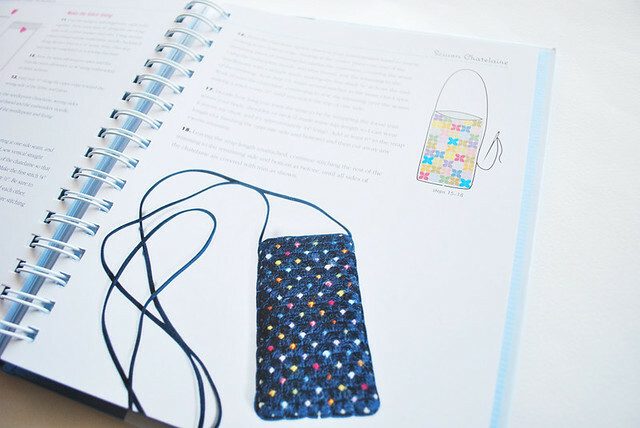 There are also different types of embroidery that I haven't tried, like Needlepoint, and this book is what I need to get started. The first section of the book is instructional on tools and techniques, but it also has a lot of history, which I love! Did you know that Grace Kelly was an avid needlepointer? Needlepointist? She did needlepoint. These extra bits of information make learning to stitch all the better. 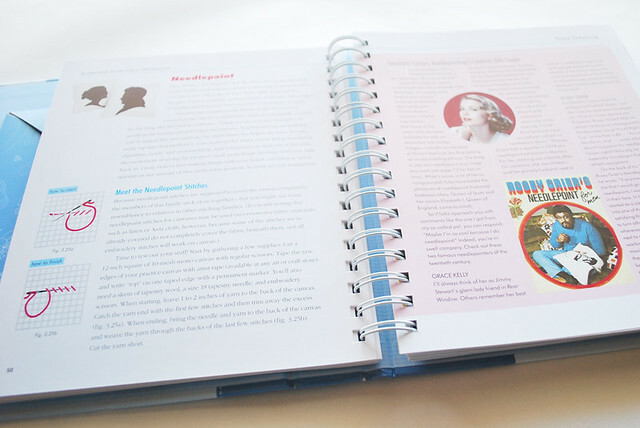 The second half of the book is filled with projects, and I hope to make nearly every single one at some point. They're all that good. The Sashiko Dress and Folk Art Skirt are just my style, and the Victorian Tic Tac Toe and Skeleton Key Ring are just the start of the gifts I'll be making from this. List price is $24.95, but this is worth far more. 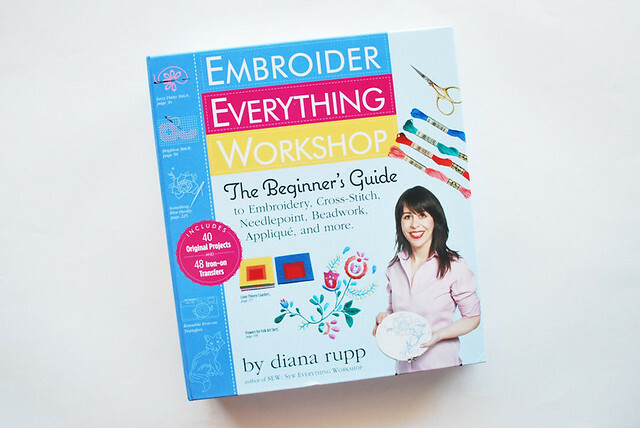 If you're just getting into embroidery, or if you've been at it awhile, you really should check this one out! It sounds really neat! I have her "Sew Everything Workshop" book, which I bought about a year into my sewing adventures. But it would have been so helpful when I first started out! OH MY GOD!!! After taking a wander through one of our local vintage shops and seeing tons of cute embroidery, I decided I want to try my hand at it. This would be SUCH an amazing Christmas gift - I must tell Jen! Ah!!! :D I love IT!! !